It’s always encouraging when a difference in a dog is so evident after just one treatment session. These improvements are even more pronounced when the carer takes everything on board that we demonstrate and talk about. In the first session, we don’t just perform appropriate therapy but also demonstrate what to do to help in between sessions, suitable exercise, how to recognise muscle tone, gait, stance and therefore, monitor change and progression. All in the same session. Plus, this is all followed up with a personalised workbook for revision and homework. Roo and her carers were a perfect example of this co-operation. 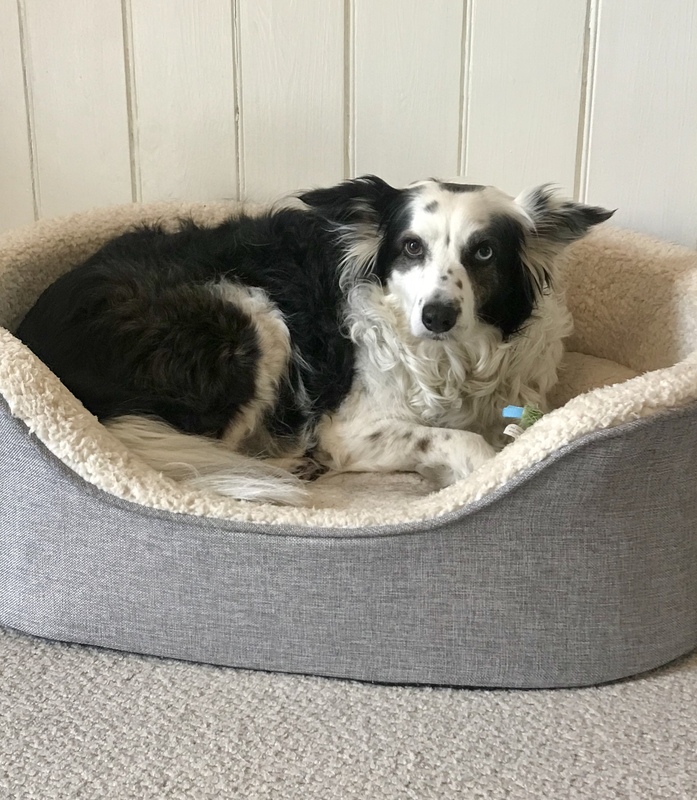 I first visited 8 year old rescue collie Roo a few weeks ago. Previous to rescue, she had a rear leg operation but no rehabilitation. Her new carers wanted to put an appropriate plan in place now. At that time, Roo was anxious and very clear on which bits were the OK bits to touch and which were off limits. This time – a new girl. Straight into massage pose. Sitting with her Mum – confident, assured and trusting. I didn’t need to ask whether they’d been doing their homework – Roo was showing me they had. Her walks are longer now, although she can be a little stiff the next day after a very long one. It’s still a balance of her being an unstoppable collie and keeping to sensible distances during this rehabilitation stage. But that is progressive learning. An added benefit is that Roo’s Mum said that she now finds herself looking at friends dogs and thinking (aloud) “Oh…that muscle is less well developed than that one – have you noticed?” Keep spreading the word! And keep on trusting your Mum and Dad Roo, you should be so proud of them. I know I am. 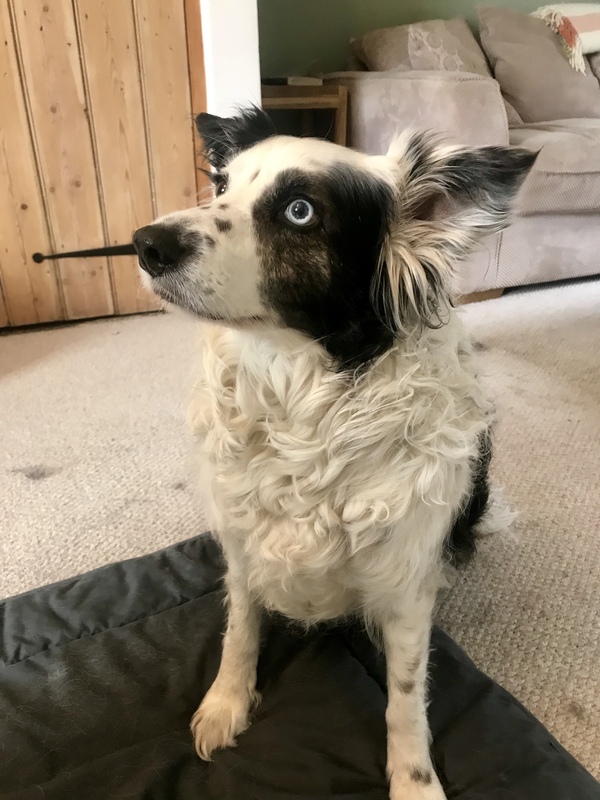 This entry was posted in acheypaw, achy paws, AchyPaw, achypaw myotherapy, canine myotherapy, dog myotherapy, achypaw myotherapy, myotherapy, achy paws, Dog, Dog massage, dog myotherapy, empowerment, massage benefits, myofascial release, myotherapy, not just arthritis, prevention, Testimonial, therapeutic massage, training and tagged acheypaw, achy paws, achypaw, achypaw myotherapy, achypaws, Canine massage, canine myotherapy, Dog massage, dog myotherapy, massage, not just arthritis, south coast dog massage, south coast myotherapy, therapeutic, therapeutic massage, www.achypaws.com. Bookmark the permalink.